Time slice up and supplied on a coloured plate. 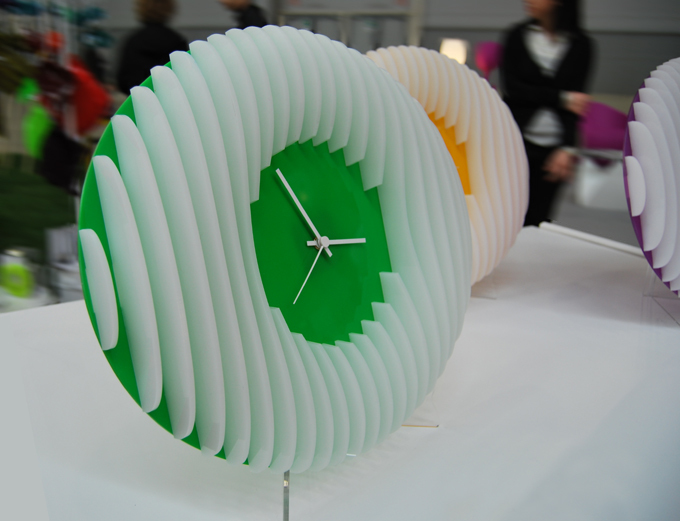 Plexiglas clock decorated with three-dimensional elements, with harmonic and sinuous shape. The substance of the time and the time in substance. Design copyrighted and registered (2010).